Some times ago, I bought a book titled “Jouer avec l’histoire” (Play with History, only in French [for now]) that I just had time to read. 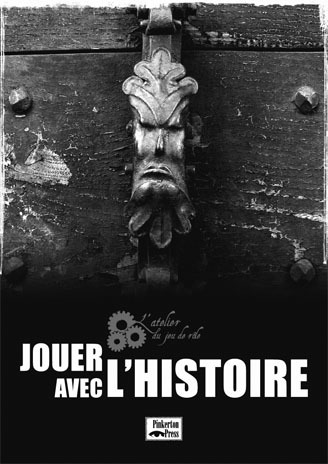 Various authors from the world of roleplaying games look at the problem of History in the games (Olivier Caïra, Christophe Chaudier, Yann Lefebvre, Romain d’Huissier, Christophe Valla, …). Like you ask yourself “can one laugh of anything”, it is necessary to ask “can one play with anything?” When rpg are looking at difficult times of History (Shoah, …), can they be inserted in the game? In the same way, can we play with History without going into Uchronies or other “parallel worlds”? To what point must we stick to History, for example of medieval times or religion wars, and what is it, since each of us players has a different background and culture. Though this books only treats each problem as applied to a precise game and in a small number of pages (160 as a total for the book), it is an excellent basis for thinking both on historical games and their reception, as well as on the way to use our historical knowledge in rpg. I recommand to any DM and player who wants to discover or already plays historical games to try to read this book.